I found the idea of glueing plain buttons to the back of paper clips on the internet and promptly went in search of the glue gun which happened to be hidden somewhere in the garage. For these flower paper clips I found some buttons with shanks on the back which fitted neatly through the middle of the tatting and paper clip. They are extremely firm and have a nice weight to them. 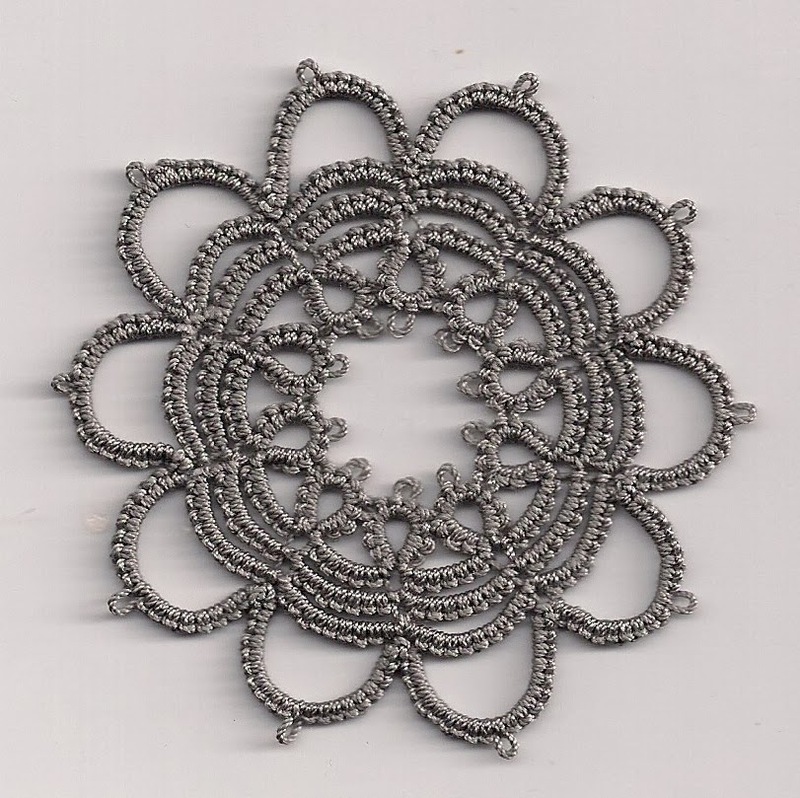 I have so many centres of the flowers left over from another project and so simply tatted an outer ring with plenty of beads to give them a bit of a sparkle. 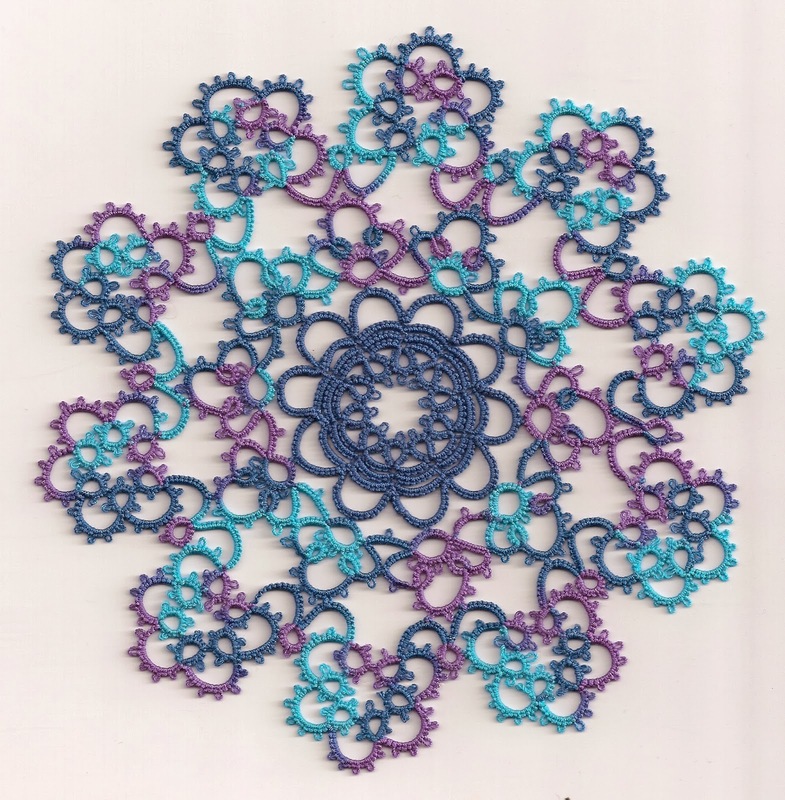 By having two layers of tatting there is plenty of area to use for glueing. To finish off I did add a round of felt at the back to give them a clean look. 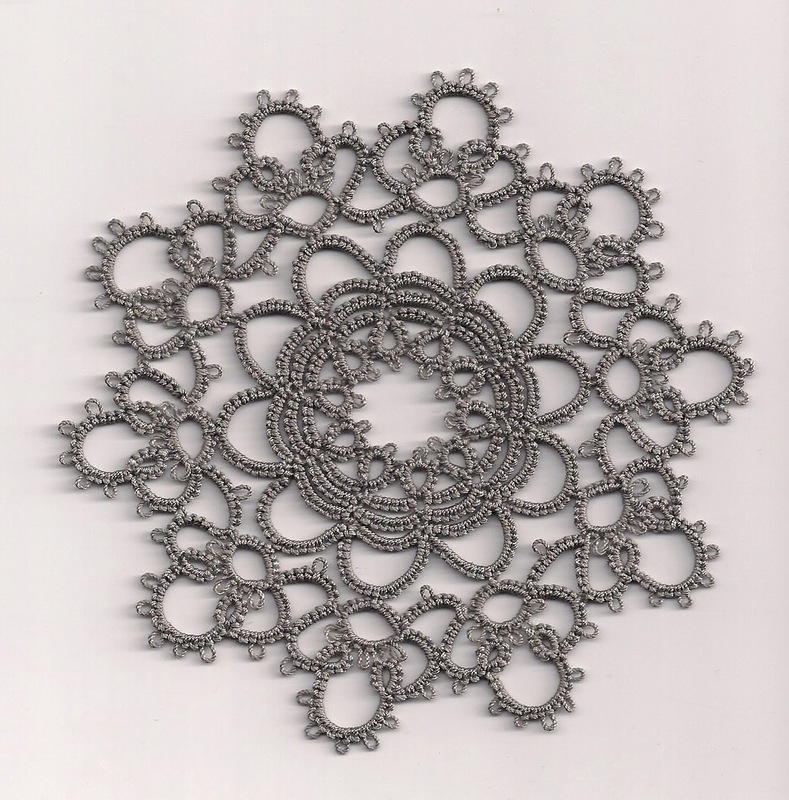 Renulek's doily is coming on well but is now too big to scan. 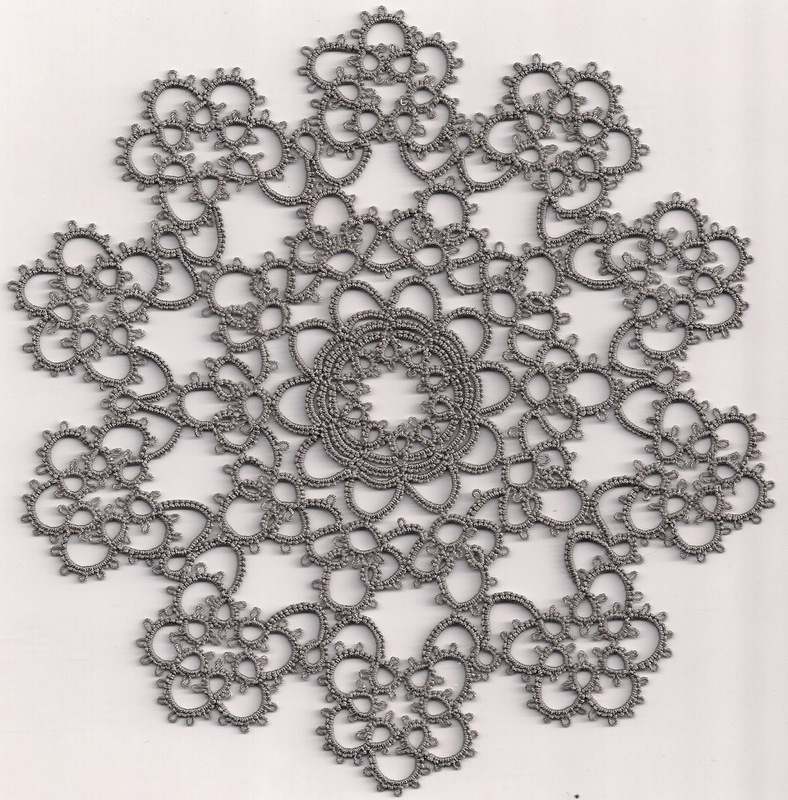 Also to let you into a secret I am working on two at the same time, so you may see a different looking doily next time, just depends. The ones you saw in the previous post I am not adding to, in fact I have given the blue one away. My fascination for this pattern by Renulek has not faded and so instead of making individual ones I decided to join them together, but alas the plan did not work. Well it might with a lot of filling in, something I just can't get my head around! The grey mat was going to be in the centre and then lots of pastel shades around the outside. What would really be good though is another round just to make it slightly bigger. I love the elegance when it is tatted in one colour but also like the prettiness of using variegated thread. Winter has another flight. If Candlemas brings clouds and rain, Winter will not come again. 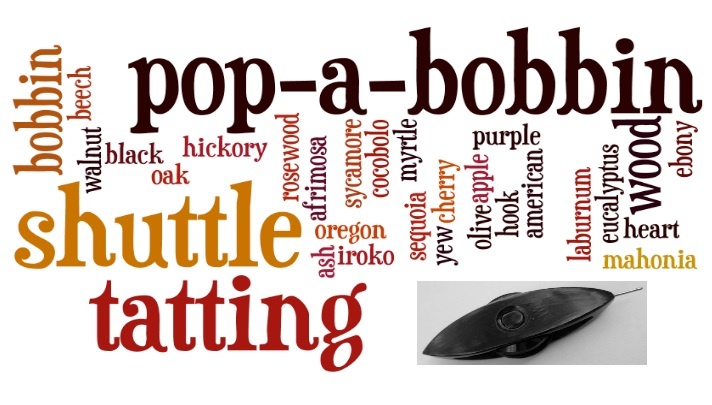 An old English saying which is meant to predict the weather. Today in England it is cold, and there has been no rain and the sun has been shinning, but sadly that does mean that we are going to see a little more Winter weather before Spring comes, according to this ancient saying. This morning in church I talked about Candlemas and in particular snowdrops and how they are associated with the purity of the Blessed Virgin Mary. Since completing my mammoth exercise of covering Christmas ornaments, which ended last week, I have been a little unsettled not knowing what to tat next. Last night whilst preparing for today I looked for a snowdrop pattern. 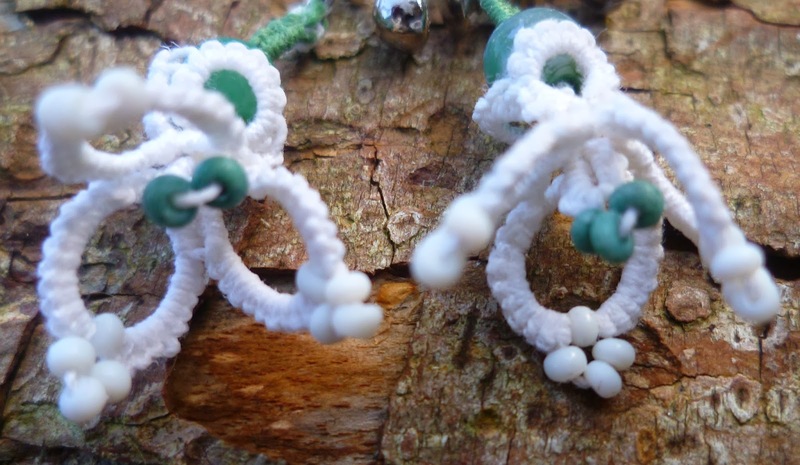 I found this one designed by Jennifer Williams but I sort of adapted it a little and of course made them into earrings. I wore them this morning and asked the congregation where they could see snowdrops in church, fortunately when I walked down the aisle a few did notice, as they were obviously looking in other places! 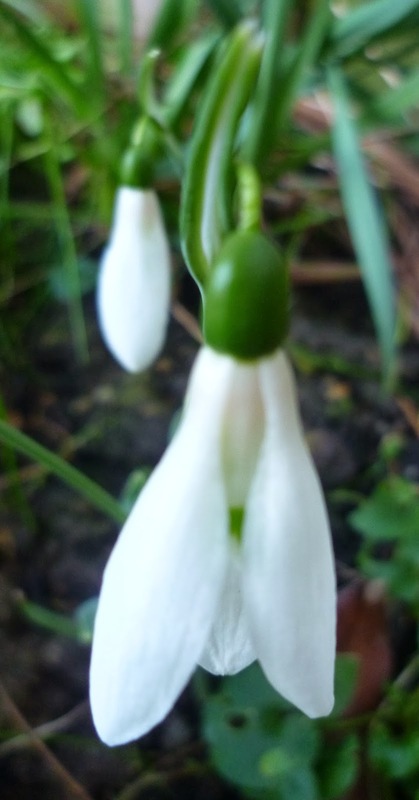 I passed so many snowdrops on my walk to church through the graveyard this morning but this particular one is in my garden and I look forward to it's appearance every year. 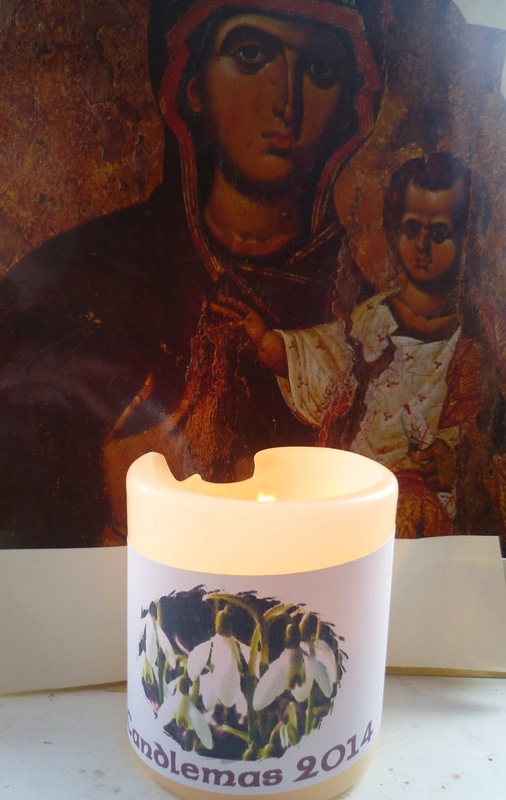 As it was an All Age Service the congregation were invited to decorate these candles to take home. 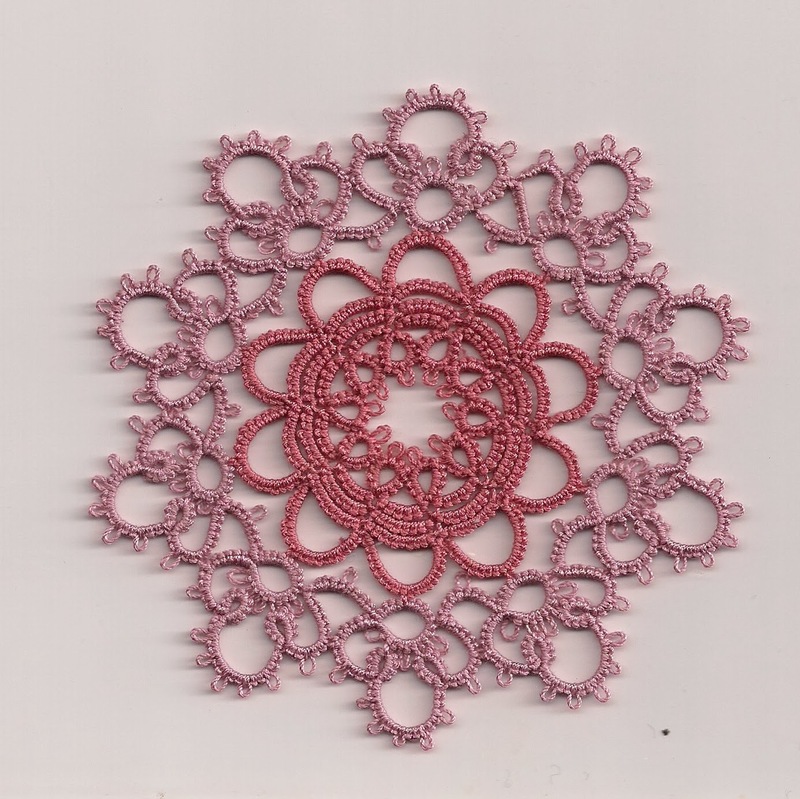 Centuries ago Candlemas used to be the day that candles were brought to the church to be blessed but today also marks the end of Christmas and so I really do need a new tatting project!